In the early 1990s, Turkmenistan's foreign trade remained completely under the control of the central government. During that period, the most important trading partners remained the former republics of the Soviet Union, with which the great majority of trade had been conducted during the Soviet era. Natural gas is the most profitable item available for foreign sale. In controlling Turkmenistan's trade sector, the main goal of government policy is to maintain and expand foreign markets for gas, fuel products, electricity, and cotton. Just prior to independence, trade with other Soviet republics accounted for 93 percent of Turkmenistan's exports and 81 percent of its imports. In the mid-1990s, the country's main trading partners (as they were in 1990) were Russia, Kazakhstan, and Uzbekistan in the CIS and Germany and countries in Eastern Europe outside the CIS. In 1990 nearly 27 percent of exports were mineral products, 6 percent were chemical industry products, 46 percent were some form of cotton fiber, and 17 percent were processed food products. In 1991 the largest components of Turkmenistan's imports were food (17 percent of the total), chemical products (6 percent), light industry products including textiles (22 percent), and machinery (30 percent). Among Western countries, Turkmenistan imported the most goods from Finland, France, and Italy in 1992. In 1990, the overall trade deficit was US$500 million, which declined to $US300 million in 1991. In 1991 the trade deficit constituted some 13.9 percent of the net material product (NMP -- see Glossary). 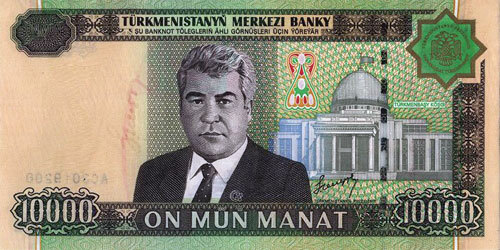 In 1992 the deficit with Russia, Turkmenistan's main trading partner, was about US$38 million. That year the value of exports to Russia was 52.7 percent of the value of imports from Russia, the highest percentage among Russia's CIS trading partners. However, because it exports fuel, in the mid-1990s Turkmenistan maintained a positive trade balance at world prices with the CIS as a whole, making it the only republic besides Russia to do so. In 1993 Turkmenistan's main CIS import partners were (in order of import volume) Russia, Azerbaijan, Uzbekistan, Ukraine, and Tajikistan. The main CIS customers were (in order of export volume) Ukraine, Russia, Uzbekistan, Kazakhstan, and Georgia. In 1992 Turkmenistan had bilateral trade surpluses with Ukraine, Tajikistan, Uzbekistan, and Georgia. Russia continues to trade with Turkmenistan in much the same way as in the Soviet era, although by 1992 trade with the other republics was curtailed by difficulties in collecting payments and other factors. Central Asian republics traditionally traded more with Russia than with each other; the conditions of the 1990s promote even less regional trade because several of the republics specialize in similar products. For example, cotton and gas are the chief export products of both Turkmenistan and Uzbekistan. Because of its specialization in cotton and natural gas, Turkmenistan imports a large percentage of the food it consumes. In 1991 the republic imported 65 percent of its grain consumption, 45 percent of its milk and dairy products, 70 percent of its potatoes, and 100 percent of its sugar -- a profile typical of the Central Asian republics. In 1991 the trade deficit was 684 million rubles in food goods, compared with a deficit of 1.25 billion rubles in non-food goods. Turkmenistan's cotton exports follow the pattern of other Central Asian republics. Governments of these countries have raised the price of cotton for trade with their Central Asian neighbors nearly to world market levels while discounting their cotton on the world market because of its relatively poor quality and less reliable delivery. Since 1991, Central Asian countries have more than doubled their exports of cotton to countries outside the CIS, accounting for 70 percent of West European cotton imports. Exports to the Far East and Mexico also have increased. In 1992 Turkmenistan cut its cotton export prices by 30 percent to stimulate sales. In response, the National Cotton Council of America refused to make subsidized shipments of cotton to Russia, where around 350 textile mills were threatened with closure because of insufficient imports, unless Central Asian republics reversed their aggressive stance in the world cotton market. Natural gas, Turkmenistan's main export for foreign currency, accounted for an estimated 70 percent of its exports in 1993. Planners expected per capita earnings from sales of gas in 1993 to approach US$1,300, but Azerbaijan and Georgia failed to make payments. Turkmenistan, like Russia, has introduced a policy of cutting off gas supplies in response to such situations. 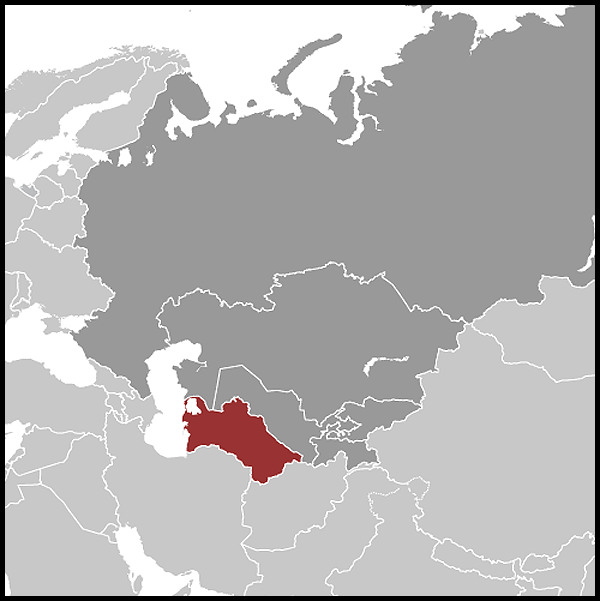 In the case of Azerbaijan and Georgia, supply was curtailed until the bills were paid. In the mid-1990s, the practice of shutting off delivery was a thorny issue between Turkmenistan and Ukraine, which owns the main pipeline to Europe but has failed to pay for gas deliveries on many occasions. CIS agreements on tariffs and customs have been worked out, but in reality a "legal vacuum" exists with regard to interrepublic economic ties. Technically, CIS members are not allowed to discriminate against one another in trade, but trade wars began to break out immediately upon independence. As a result, most republics have made a series of bilateral accords. A month before the major CIS agreement was worked out in 1992, Turkmenistan signed a customs union agreement with Russia and the other Central Asian republics. Later, it renegotiated its terms with Russia. In a move toward trade liberalization in early 1993, Turkmenistan abolished import duties on around 600 goods, including all CIS goods. Imports from former Soviet republics outside the ruble zone were prohibited. Tariffs for goods exported for hard currency have remained in place to increase government revenue and prevent capital flight; thus, for natural gas the tariff is 80 percent; for oil, 20 percent; and for chemicals, 15 percent. The state can fix the volume, price, and tariff of any export leaving Turkmenistan. Beginning in November 1993, Turkmenistan stopped the Soviet-era practice of accepting goods in exchange for natural gas, restricting payments to hard currency, precious metals, and precious stones. However, this policy may not be successful because Russia buys gas from Turkmenistan and then redistributes it to CIS customers rather than to Europe. Under these conditions, some customers may turn to Uzbekistan, which sells its gas directly and at a much lower price. 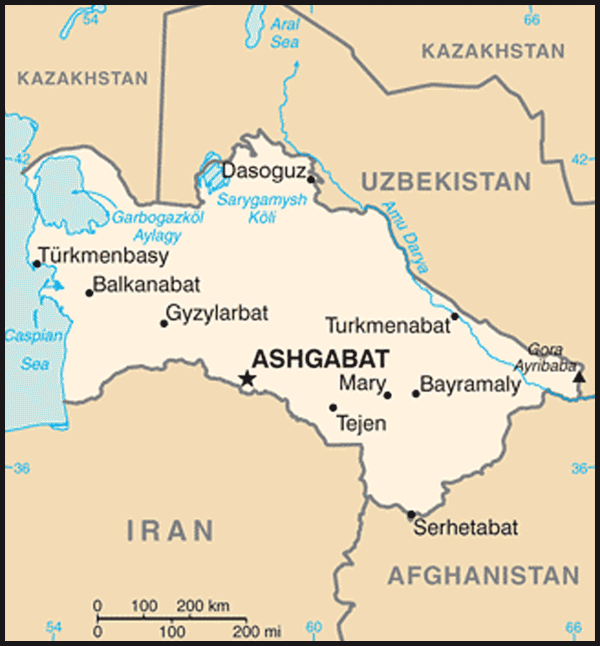 Turkmenistan found it necessary to negotiate barter agreements with certain nonpaying customers such as Azerbaijan and Georgia. Until the end of 1994, Kazakhstan was the only CIS customer to pay in cash. In 1993 gas constituted 66.2 percent of Turkmenistan's exports to non-CIS countries, cotton 26.1 percent, and other goods 7.7 percent. Turkmenistan barters large quantities of cotton for textile-processing equipment from Italy, Argentina, and Turkey. Almost half of cotton exports (more than 20 percent of total exports) have been diverted to non-CIS customers since 1992. An increase in barter trade with China and Iran partially offsets the collapse of interrepublic supply. In 1994 Iran bought 20,000 tons of cotton fiber, a volume expected to increase by five times in 1995. Turkmenistan also will sell surplus electrical power via Iran. Despite payment problems, Turkmenistan's export position has improved substantially since independence. Its consolidated current account surplus rose from US$447 million to US$927 million between 1991 and 1992, so that the increase in gas and cotton exports has offset the increase in imports. By mid-1994, the United States Export-Import Bank extended US$75.7 million to insure Turkmenistan's trade deals, and the United States Department of Agriculture offered US$5 million in grain credits. Turkey's export-import bank extended a credit line worth $US90 million to Turkmenistan to help cover the growing volume of trade between these two countries. Japan's Eximbank allocated $5 million in trade credits for machinery. In November 1991, Turkmenistan officially opened its system to foreign economic activity by ratifying the laws "On Enterprises in Turkmenistan" and "On Entrepreneur Activity in Turkmenistan." Subsequent laws on foreign investment have covered protection against nationalization, tax breaks on reinvestment of hard currency obtained for profits, property ownership, and intellectual property rights protection to attract foreign investment, and the important 1993 decree allowing domestic enterprises to form joint ventures with foreign oil companies. The Ten Years of Prosperity plan envisages "free economic zones, joint enterprises, and a broadening of entrepreneurship." Foreign investors have been attracted by the republic's calm and receptive atmosphere. In 1993 parts of the country took on the appearance of a huge construction site, with twenty-six foreign joint ventures operating there. Turkish joint ventures alone were building sixty factories for the processing of agricultural produce. Despite official discouragement of economic activity on the grounds of human rights violations in Turkmenistan, United States business people have been attracted by the republic's stable conditions, and they have invested in a number of significant projects. In the early 1990s, United States companies paid particular attention to the oil and gas industry, establishing investment agreements with the consultative aid of former United States secretaries of state Alexander Haig and James Baker. In the formative phase following independence, Turkmenistan concluded several key agreements with trade partners. In December 1991, President Niyazov became the first Central Asian leader to secure cooperation agreements with Turkey on trade, rail and air links, communications, education, and culture. Turkmenistan also secured Turkey's agreement on a gas pipeline routed through its territory and assistance in the trading of petroleum, electricity, and cotton. Also in 1991, Turkmenistan established terms with Russia on cotton-for-oil trades, as well as for other industrial goods such as automobiles. In 1992 agreements with Iran established Iranian aid to Turkmenistan's gas and oil industry and its livestock raising, grain, sugar beet, and fruit sectors, in return for aid to Iran's cotton sector. At the same time, Iran pledged support for Turkmenistan's pipeline project through Iran to Turkey. Since its initial agreement, Turkmenistan has pursued its trade relationship with Iran with great vigor. Agreements focus on the pipeline project that will bring gas from Turkmenistan to Europe via Iran and Turkey, transportation projects such as the Tejen-Saragt-Mashhad railroad link, whose construction was undertaken in 1993, and development of the oil and gas industries, including the establishment of a joint venture in Turkmenistan for the transport of petroleum products and construction of a plant to produce motor oil. Cooperation in mining and other fields also has been discussed. At the beginning of 1992, Turkmenistan, Iran, Azerbaijan, Russia and Kazakhstan formed the Caspian States Cooperation Organization to reach regional agreements on fishing, shipping, environmental protection, and cooperation among the member nations' oil and gas operations. Iran also has sought to gain support for a project, discontinued in 1979, that would replenish the sturgeon population of the Caspian Sea. The participation of foreign companies in the development of Turkmenistan's oil industry is expected to triple extraction by the year 2000. In February 1993, the United States firm Vivtex designed a competition among oil companies to win contracts in Turkmenistan. The "winners" for three of the seven blocks put up for bid were Larmag Energy of the Netherlands, Noble Drilling of the United States, Eastpac of the United Arab Emirates, and the Bridas firm of Argentina. Just for holding the competition, Turkmenistan received an initial non-returnable "bonus" payment of US$65 million. The total investment of competition winners was to amount to US$160 million over the course of three years. Turkmenistan would receive between 71 and 75 percent of the profits from these joint enterprises. In the mid-1990s, Turkmenistan has sought to establish a natural gas pipeline that would pass through Afghanistan, Pakistan, and China to reach Japan, as well as an interim rail line for liquefied gas through China until the pipeline is finished. President Niyazov visited Beijing in November 1992 for talks on the pipeline, at the same time securing credits of 45 million Chinese yuan to be repaid after two years. Niyazov then held talks with representatives of the Japanese firm Mitsubishi and the Chinese Ministry of Oil in December 1992. A delegation of Japanese experts visited Ashgabat in February 1993 to discuss prospects for aid. Declaring Turkmenistan the "most solvent" of the Central Asian republics, the delegation signed agreements for the development of oil deposits in the Caspian shelf, communications, and water desalinization. In the mid-1990s, the International Monetary Fund (IMF -- see Glossary) denied assistance to Turkmenistan on the grounds that Turkmenistan has not taken the required human rights steps for economic cooperation. However, in March 1993, the United States conferred most-favored-nation trading status on Turkmenistan.